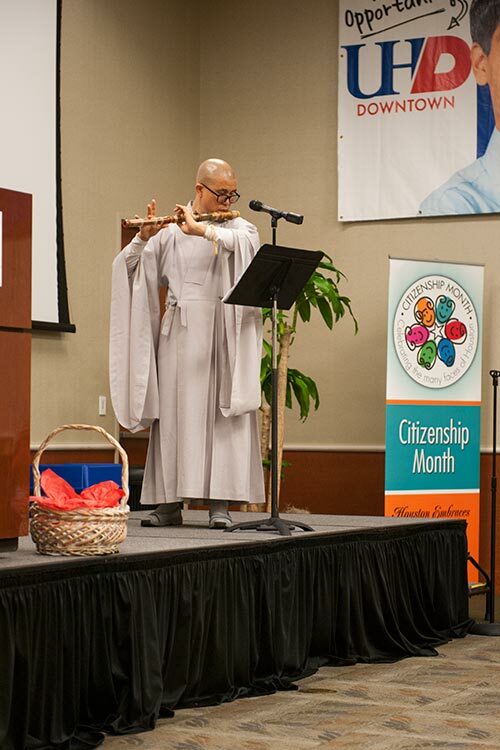 UHD hosted a symposium this week in conjunction with Houston Citizenship Month that brought together students, faculty and community leaders. 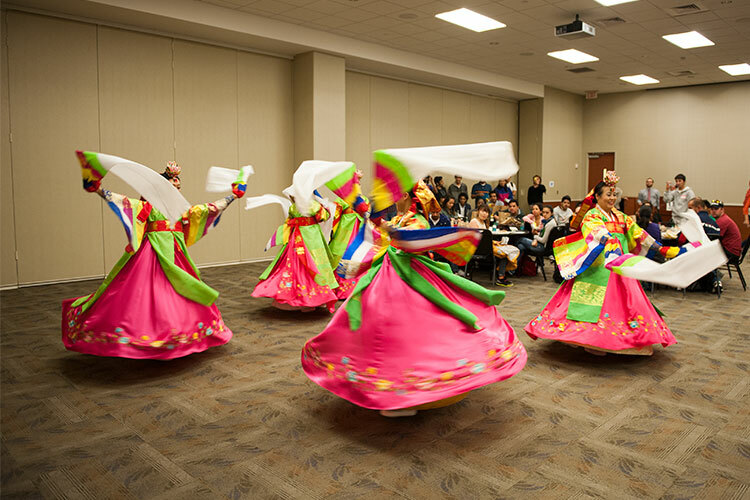 "Citizenship Conversations for a Better Houston Community" featured student presentations on citizenship, traditional Korean musical entertainment and a presentation on civic engagement by UHD alum Mike Sullivan, Harris County Tax Assessor. 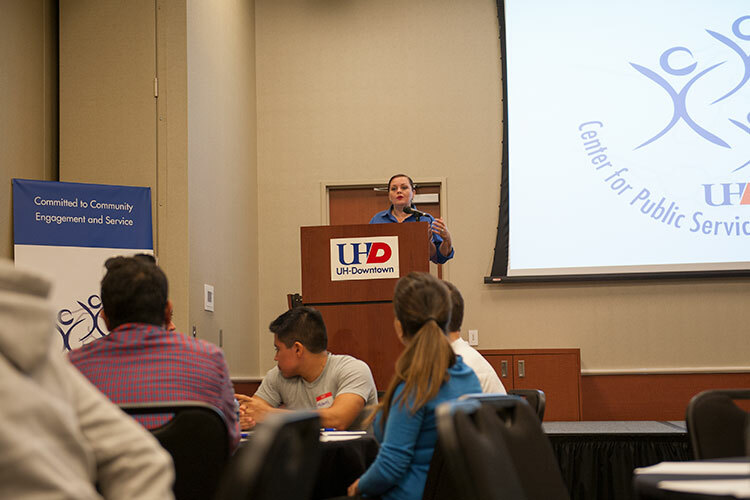 Opening remarks and an introduction were given by UHD President Bill Flores and Dr. Noel Bezette-Flores, executive director of the UHD Center for Public Service and Family Strengths and co-chair of Houston Citizenship Month. The purpose of the symposium was to bring together various constituencies to have an open dialogue about critical topics relevant to the civic mission of higher education. Over 130 students attended from various programs, including the UHD powerlifting team, the history program, the honors program and more. 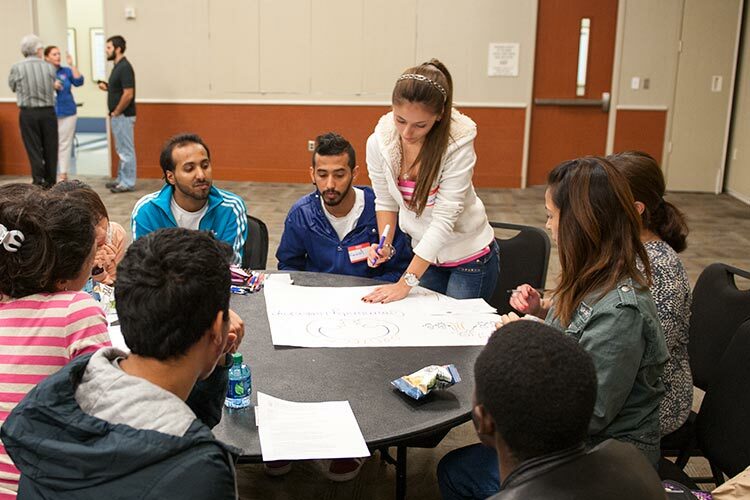 The event was sponsored by the UHD Center for Public Service and Family Strengths and was made possible by a Bringing Theory to Practice grant from the Association of American Colleges and Universities, which was authored by Assistant Dean of Students Liza Alonzo.